France's Pierre Hugues Herbert reacts after winning against Czech Republic's Tomas Berdych during their semi finals tennis match at the Open Sud de France ATP World Tour in Montpellier, southern France, on February 9, 2019. Pascal Guyot, AFP. 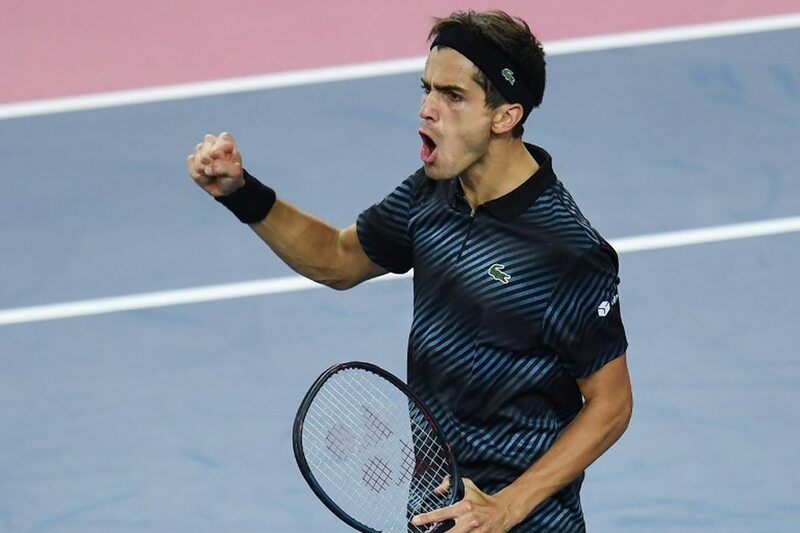 PARIS - French seventh seed Pierre-Hugues Herbert downed Czech Tomas Berdych 6-2 7-5 to set up an all-French final with Jo-Wilfried Tsonga at the Open Sud de France in Montpellier on Saturday. Wildcard Tsonga beat Moldova's Radu Albot 6-1 6-3 after overcoming an early break in the second set.